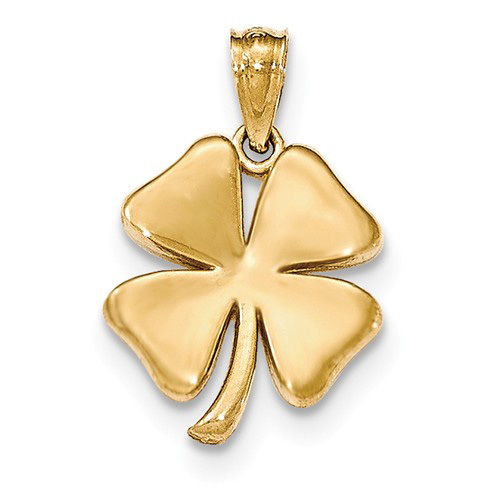 This four leaf clover pendant is made of polished 14kt yellow gold. Item size: 5/8in x 5/8in without the bail. Weight: 0.8 gram. 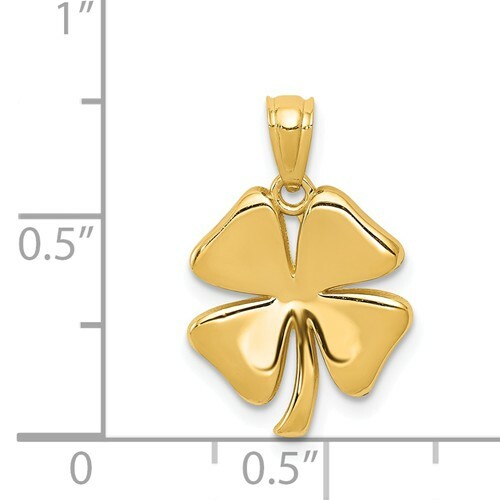 Fits up to a 3mm wide chain. Textured open back. Made in the USA.